A murky plot to extort money from delivery giant DHL Express has many Germans on edge during the busy holiday shipping season. Packages sent to a police station and a government office produced at least two false alarms Dec. 4 as a hotline buzzed with calls from anxious citizens. Officials in the German state of Brandenburg revealed Dec. 3 that a package delivered to a Potsdam pharmacy with a crude device made of wires, batteries and nails inside was part of a conspiracy to extort millions of euros (dollars) from DHL. On Dec. 4, a package delivered by DHL to the Thuringia state governor’s office and at first feared to be bearing a hand grenade brought police out to investigate. An X-ray showed only rolled up catalogues in the item, prosecutor Hannes Gruenseisen told The Associated Press. The suspicious package delivered to the Potsdam pharmacy Dec. 1 cause police to evacuate a surrounding Christmas market and to destroy the parcel through a controlled explosion. A spokesman for a task force set up in Brandenburg state to investigate the plot refused Dec. 4 to give more details, citing the ongoing probe. 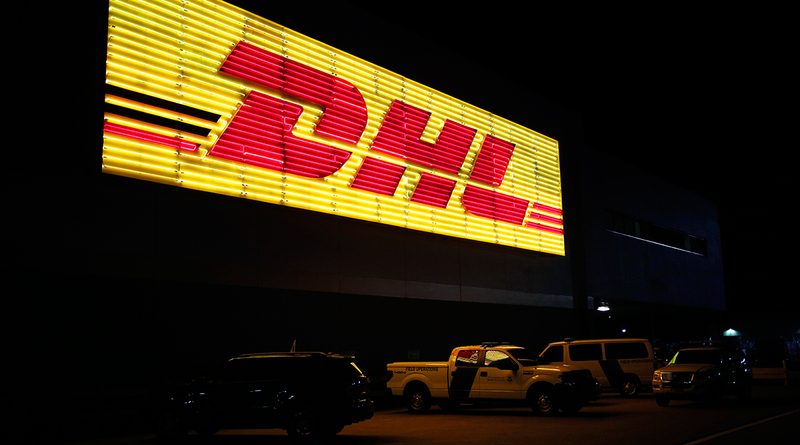 DHL, a division of Deutsche Post DHL, has refused to comment on the case. Telephone calls to its headquarters in Bonn, Germany went unanswered Dec. 4.